Baseball season is underway here in Maryland and with the name Ripken involved you know it will be something to remember. Ripken Baseball is an sport-event organization based in Aberdeen, MD. They specialize not only in organizing numerous tournaments in the State of Maryland, but they also provide instructional videos from Major League players like Cal and Bill Ripken to help youth players exceed in their level of play. Created by Cal Ripken and brother Bill Ripken in 2001 in remembrance of father Cal Sr., Ripken Baseball has surpassed expectations in providing a unique experience when hosting baseball tournaments in their spring to fall season. These one of a kind tournaments are held at their premier complex located in Aberdeen. With a huge selection of baseball fields, batting cages, pitching mounds and training fields, the Ripken experience at the Aberdeen complex will surely display the best of youth baseball in the coming months. “Ripken tournaments are the Disney of baseball” when it comes to the Aberdeen complex, says Sales Manager Andy Levy. The unique experience starts with the fields themselves. Some fields are replicated to look and feel like several Major League Baseball stadiums. 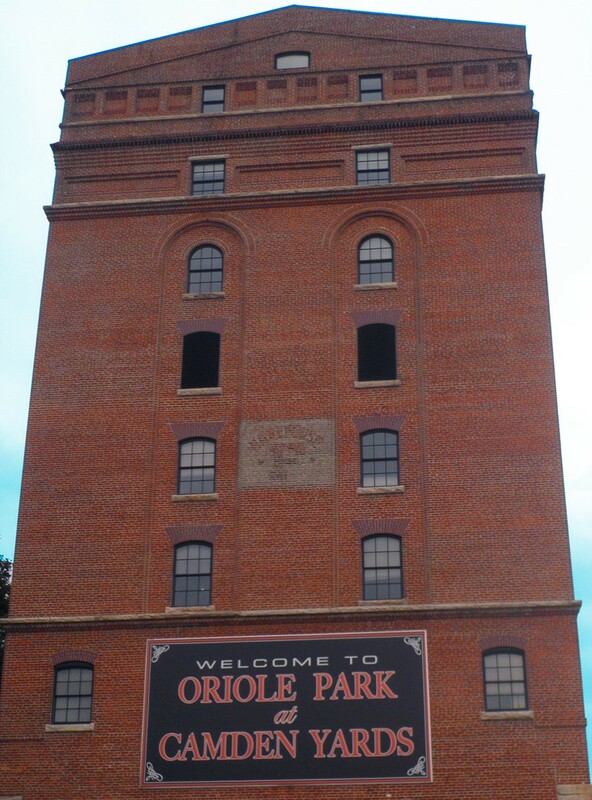 In fact, Cal Sr. Yard is a replica of the Baltimore Orioles home park, Camden Yards, complete with the famous brick warehouse out toward right field and the underground dugouts. Other fields at the complex are replicas of Wrigley Field, home of the Chicago Cubs, Fenway Park of the Boston Red Sox, and the old Memorial Stadium of the Baltimore Orioles. Levy explained that the reason he thinks the tournaments are so successful is that the family-involved organization is centrally evolved around four core philosophies: keeping it simple, celebrate the individual, explain the why, and keep it fun. These principles are what Levy says are “passed from Cal Sr. himself to help players even at a young age continue to play the sport later on in life.” The Ripken organization is a family-run business, with both Cal and Bill helping out as much as possible. Levy said, “just their name on the organization is not enough- they are very hands-on in providing the ultimate experience, and [they] provide the best experience youth players can get at this level.” The future of Ripken baseball has no limits for the youth baseball community, especially in Maryland. There are no restrictions to who can play in these tournaments in Aberdeen. Although the majority of players are around 9 to 14 years of age, participants can be anywhere from 8 to 18 years old. With new ways to reinvent themselves, including scheduling games and training athletes, Ripken baseball uses a “progressive evaluation” approach to reach the next level. In fact, in the coming season, Ripken Baseball is expected to have around 1,900 teams play at the Aberdeen complex compared to last year’s 1,754. One of the bigger tournaments for Ripken Baseball is the upcoming Memorial Day Classic, which drew just over 70 teams with age groups from 8U, 12U, and 14U last year. Levy discussed that in July, Ripken Baseball will launch the Ripken Nationals tournament, which will feature teams from all across the nation. He hopes that the tournament will become an integral part of the organization by bringing in top talent from all over the U.S. These two tournaments are sure to bring massive crowds to the city of Aberdeen, and display great baseball competition. Ripken Baseball also hosts The Ripken World Series in August, which also draws teams from across the nation. Although the heart of Ripken Baseball resides in Aberdeen, the organization maintains another complex in South Carolina: The Ripken Experience- Myrtle Beach. This location boasts replica turf fields of historical parks like Navin Field and The Polo Grounds, hosts tournaments, and has branched out into providing spring training experiences for college and high school baseball and softball teams. And in 2016 Ripken Baseball will open a brand-new facility in Pigeon Forge, Tennessee, located in the Great Smoky Mountains. This new location will also host tournaments, and will help grow the Ripken organization and further youth baseball. With more than 35 tournaments in a season, Ripken Baseball will continue to provide new and unique experiences to youth baseball players of all ages and their families.